Q Wander is our everyday digital display watch that connects seamlessly to your phone. Strapped in stainless steel, the tech-savvy dial with touchscreen functionality includes the all-new Android Wear 2.0's interactive dials (for info at a glance), user-friendly messaging, customizable watch faces and automatic activity tracking. 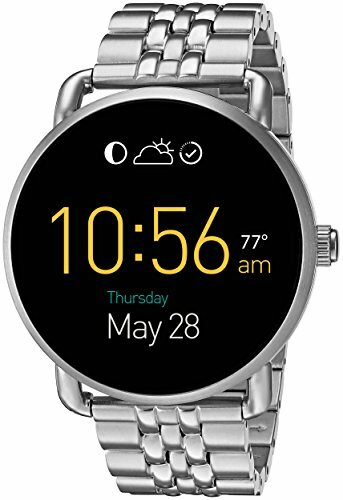 *Powered by Android Wear 2.0, Fossil Q Wander is compatible with phones running Android 4.3+ or iOS 9+. Supported features may vary by platform. Android and Android Wear are trademarks of Google Inc.